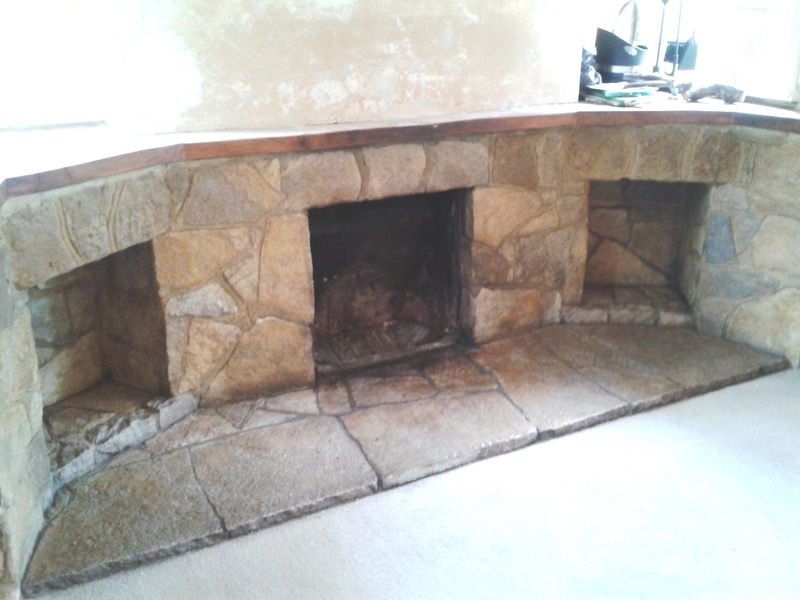 This fireplace at a house at Canford Cliffs near Poole, Dorset and was constructed from a mixture of Limestone and Sandstone, both of which had suffered from ingrained soot damage in the forty plus years since in had been installed. The owners of the property wanted it cleaning up and although we tend to focus on tiles the methods and products we use work equally well on stone fireplaces so I was happy to take it on. The first task was to protect the carpet in from of the fireplace from splashing and any potential mess and then I applied a strong mixture of Tile Doctor “Pro Clean” in warm water. It was left to soak in for a short while before being scrubbed into the stone by hand with a grout brush and a brass coated Spid wire brush which helped to brush away the more ingrained dirt. This took off the majority of the soil from the stone and a further application of Pro Clean was applied which I steamed off using an Earlex steamer and then rinsed thoroughly always taking care to minimise any run off. 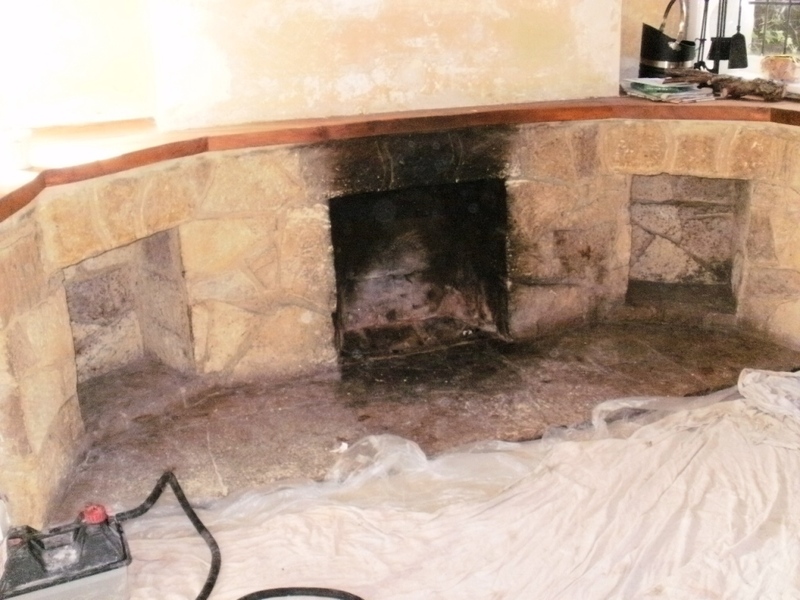 Any stone needs to be bone dry before sealing so I left the Fireplace to dry for two days before returning to seal it using a number of coats of Tile Doctor Seal and Go which sank into the porous stones and enriched their colour as well as protecting them from further staining. The fireplace is now looking like new again and has become a really attractive feature.